Nobody knew Ashley Revell until 2004: he was a simple British man who lived the ordinary life and was interested in roulette game and poker. 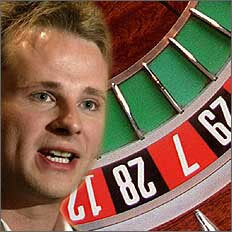 What had made him become one of the most popular roulette bettors ever? The reasons of his deed he can not explain even today. April 2004 had become special for Ashley: suddenly, he decided to sell everything he had (including house, car and clothes) in order to get money for gambling in Vegas. Nobody knew his intentions except of his close friends first, but soon the local media found out everything and decided to make a sensational reality show out of this idea. So, Mr. Revell had to go to Las Vegas together with a TV crew, not only with his parents and friends. Coming to Las Vegas, Ashley Revell had $135300; he decided to play poker a bit before going to a roulette wheel and make his main bet. 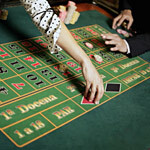 But he was not lucky to win anything there, just lost $1000; so, he decided to stop all these attempts and wait for the game of roulette itself. The TV show devoted to Mr. Revell was called "Double or Nothing" because Ashley wanted to bet the whole sum of money he had on one color (black or red) to have a chance to double his money or lose everything. First, Ashley Revell had the intention to place all his money on Black but he decided to change his mind at the last minute of roulette wheel's spinning. So, the bet had been made and it had been placed on Red. 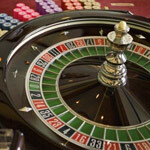 It is understandable that the situation was really tensioned while the wheel was spinning: all citizens of Great Britain watched that TV show to see whether Mr. Revell was lucky enough to win such unpredictable game of roulette. And he has done it! The ball had stopped on Red 7 and brought Ashley $270 600 at once! The young 32-year-old man had become a celebrity: today he has his own poker casino website (Poker United)and can not explain why he had decided to make such a deed in 2004; Ashley understands that it was really crazy to do that but he did it and became rich and successful thanks to only one simple roulette bet!